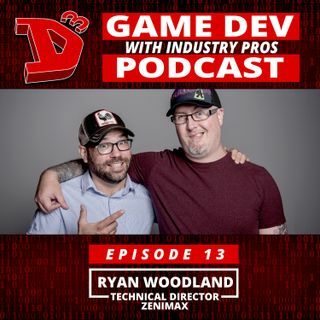 Well - It's time you guys learned a bit more about the hosts of the D3 podcast, starting with Ryan Woodland. Ryan has made his way through his 25+ year gaming career mainly by drinking and punching people (or, more accurately, getting punched by people) but I suppose there may have been a few moments of intelligence in between. His career has had him working for Nintendo, Sony, EA, and Zenimax, to name a few, spanning systems from SNES and Sega Genesis all the way through to XBox One and ... See More PlayStation 4. So... let's see what he can remember about all this - hopefully it'll be coherent enough to publish!